Is it time to sell your home? 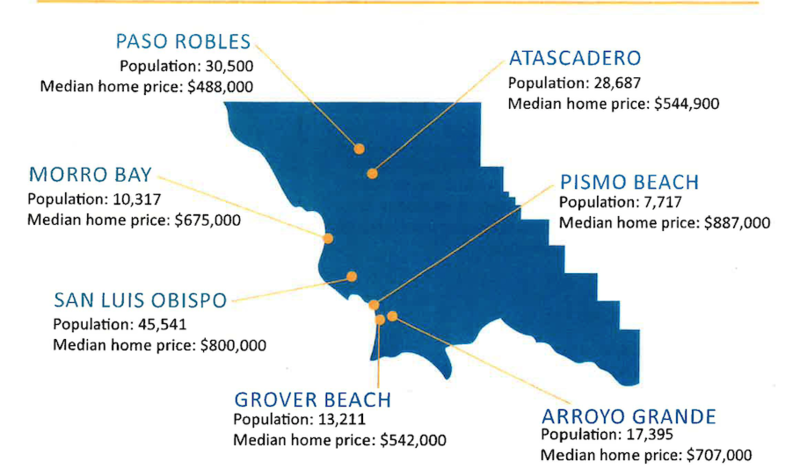 Within the last twelve months, the median sale price of a single-family home in San Luis Obispo has increased by 10%. In San Luis Obispo there were 87 single-family homes on the market through April, 2016. They ranged in price from $495,000 to $3.25 million. There were 80 homes in escrow and 30 that closed escrow in the 30 days prior. The average sale price hovers around $405 per square foot and homes are going into escrow within 72 days of being put on the market (3 month average). From February to March, there was a 31% increase in the number of homes on the market and a staggering 126% increase in the number of homes in escrow. It is expected the next 6 months will be a very active buying/selling period as Cal Poly parents start looking for a property for their children to live in while in college and annual lease turnover at the end of June. If you have considered selling your property, it is my belief that 2016 is the year to sell (either cashing out OR exchanging into another investment property). With a gradual increase of interest rates projected, housing affordability will continue to be a major concern for buyers entering the market. So to answer the question, "Is it a good time to sell your home in San Luis Obispo?" Judging by the data, YES! Please register or fill out a form to have a FREE market analysis of your home (with no obligation). Search all homes in San Luis Obispo and San Luis Obispo County HERE. View all my home buying and selling tips here.